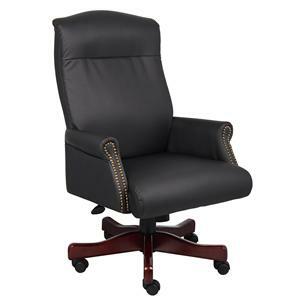 Find a Presidential Seating retail store in your local area using our dealer locator. 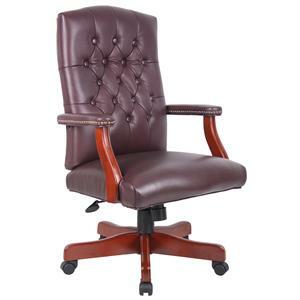 Beautifully upholstered with soft, durable and breathable black CaressoftPlus upholstery, this executive chair is available in Cherry (B8996-C) or Mahogany (B8996-M) finished wood. 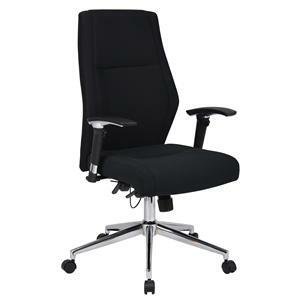 Top cushions are filled with Dacron for longevity and shape retainment, and feature perforated centers for breathability. 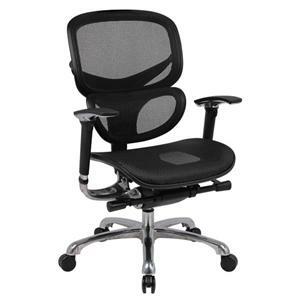 The chair also features pneumatic seat height adjustment, adjustable tilt tension control, a heavy duty two-paddle spring tilt mechanism with infinite lock, and hooded double wheel casters. 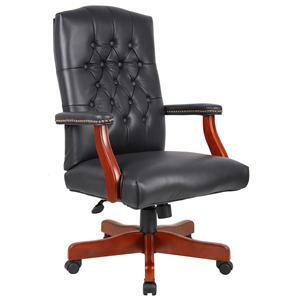 The Executive Chairs CaresoftPlus Upholstered Executive Chair with Spring Tilt Mechanism and Seat Height Adjustment by Presidential Seating is available in the area from FMG - Local Home Furnishing. 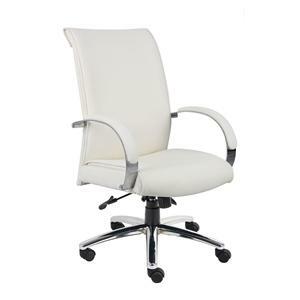 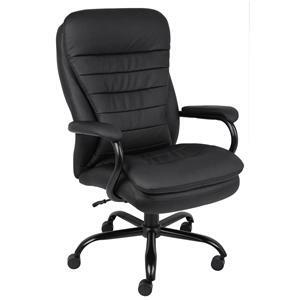 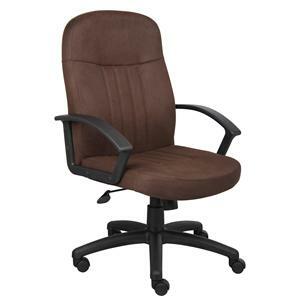 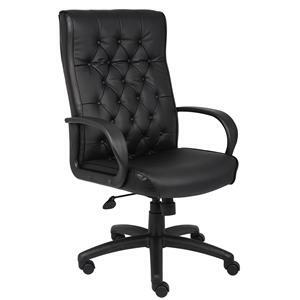 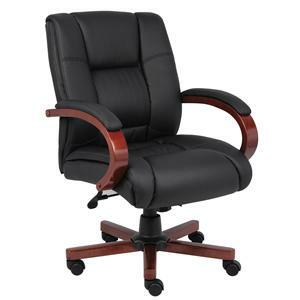 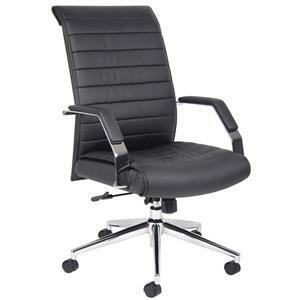 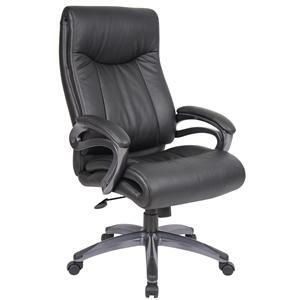 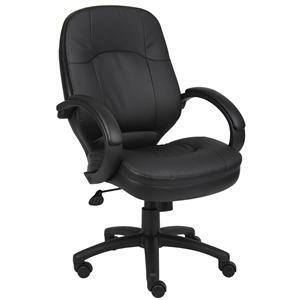 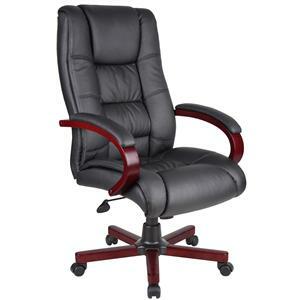 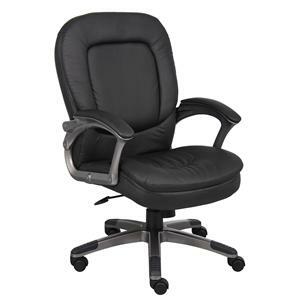 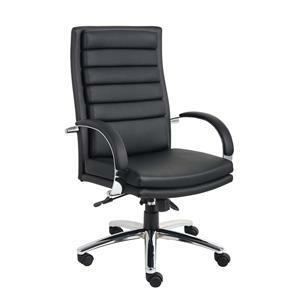 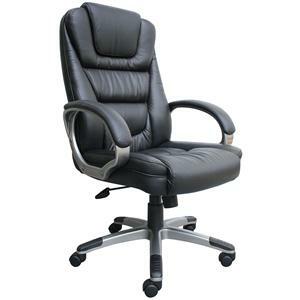 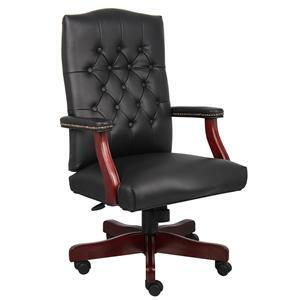 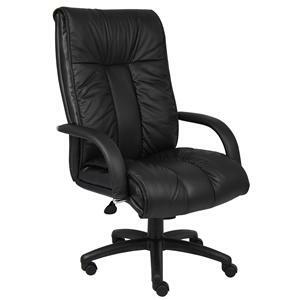 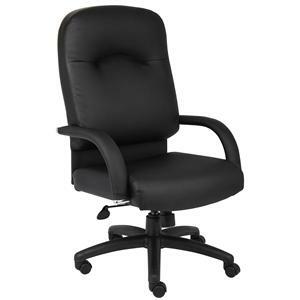 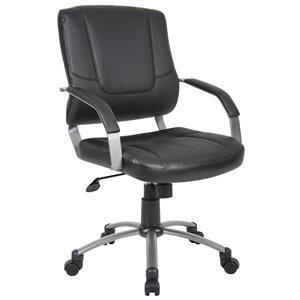 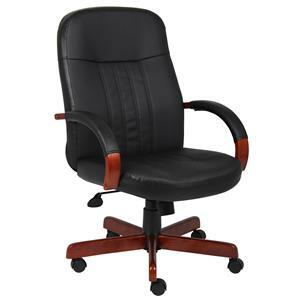 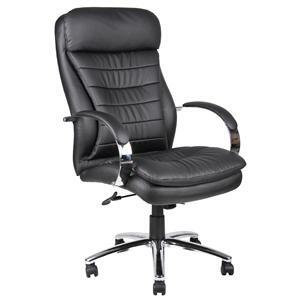 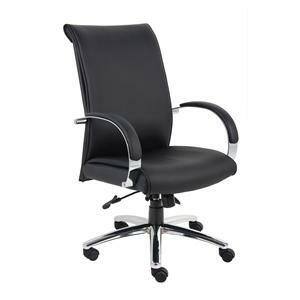 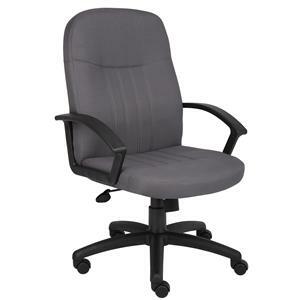 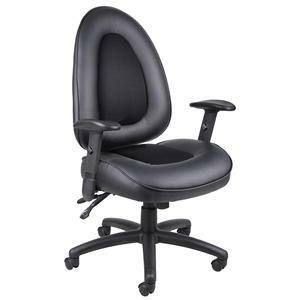 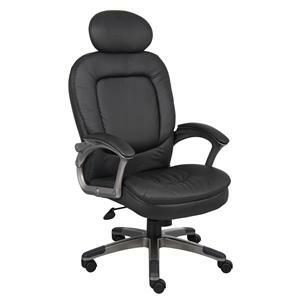 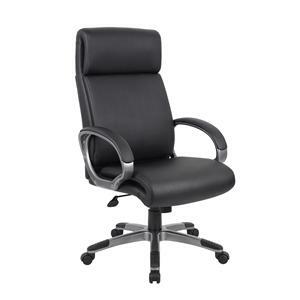 An executive chair is a necessary finishing touch to every home or work office. 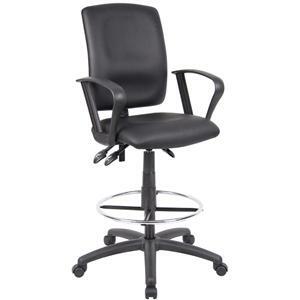 Offering you sophisticated features such as caster wheels, lumbar support, pneumatic height lifts, and tilt tension adjustments, this superior collection was designed especially to keep you working effectively and efficiently all day long. 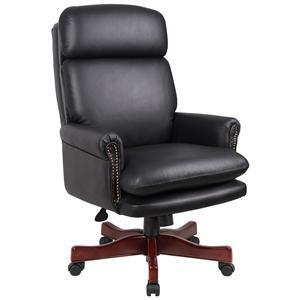 Choose from these leather, microfiber, LeatherPlus and CaressoftPlus options available in traditional or more contemporary styles to match any space. 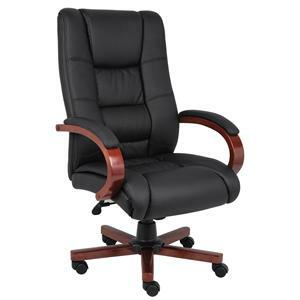 Treat yourself to luxury with a chair from the high-quality Executive collection. 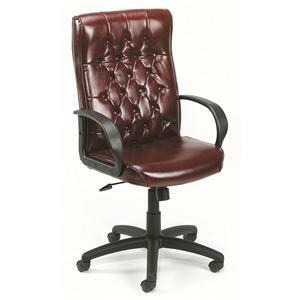 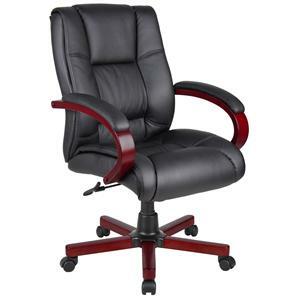 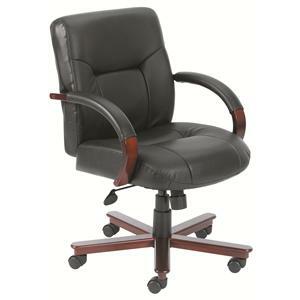 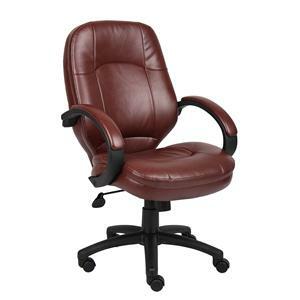 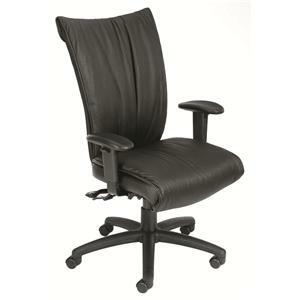 The Executive Chairs collection is a great option if you are looking for furniture in the area. 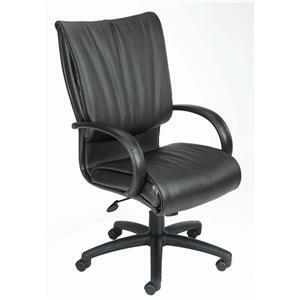 Fabric Content Black CaresoftPlus upholstery. 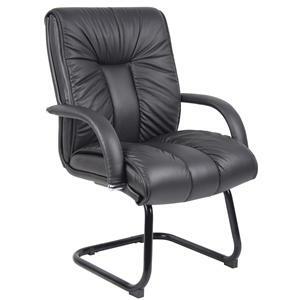 Browse other items in the Executive Chairs collection from FMG - Local Home Furnishing in the area.